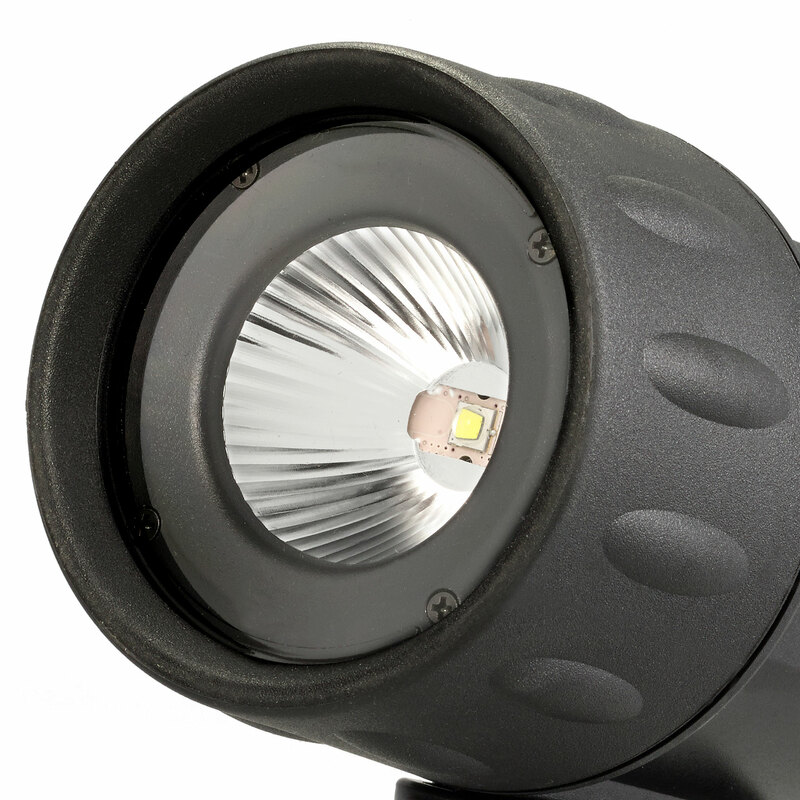 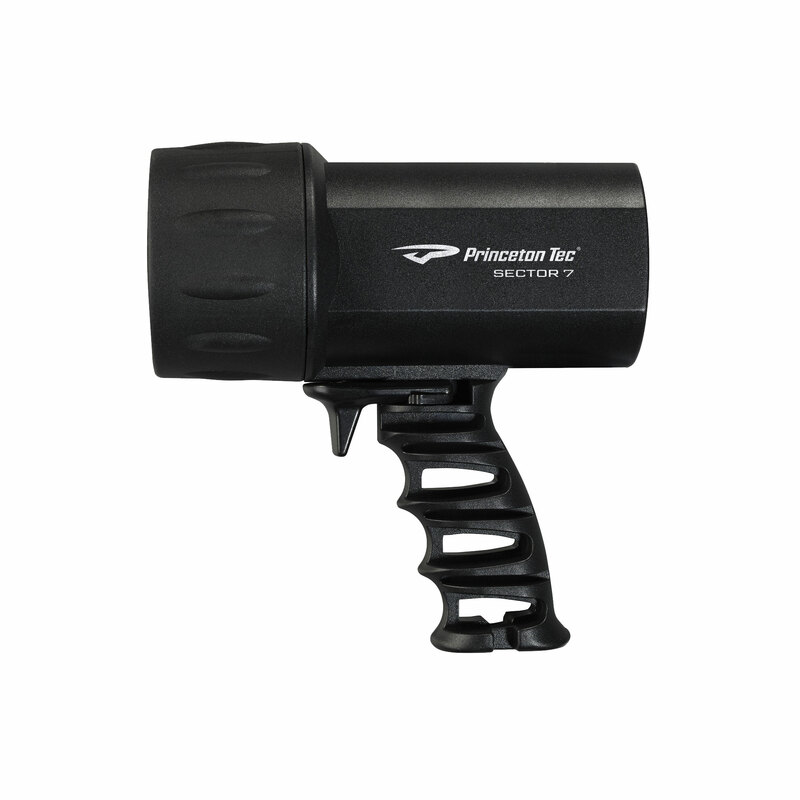 The Sector 7 concentrates a whopping 700 lumens of intense light into a well balanced, impressively powerful spotlight. 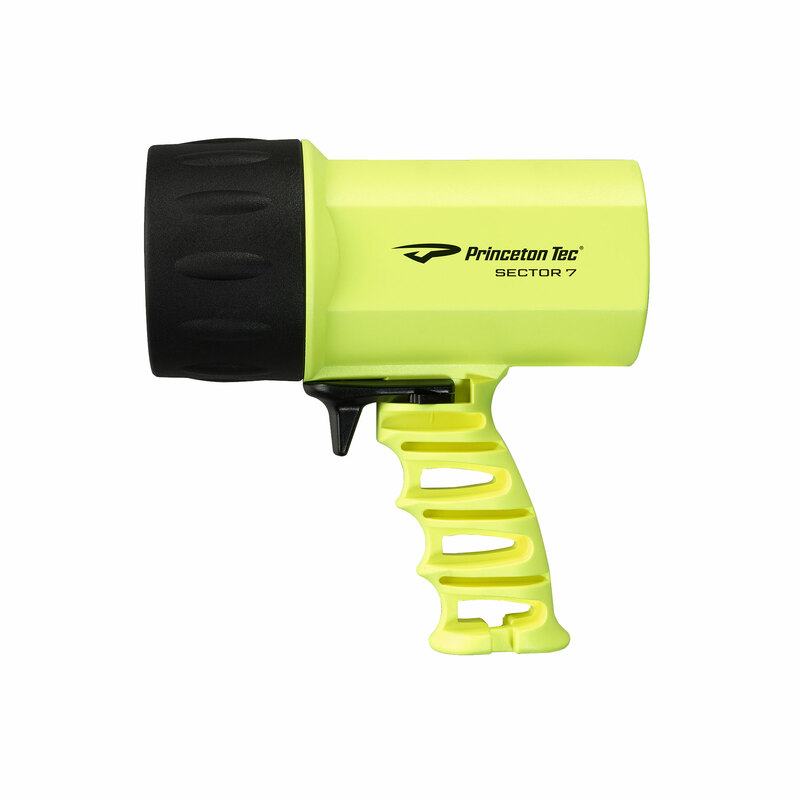 Each set of batteries will give you 30 hours of runtime; guiding your way for countless dives. 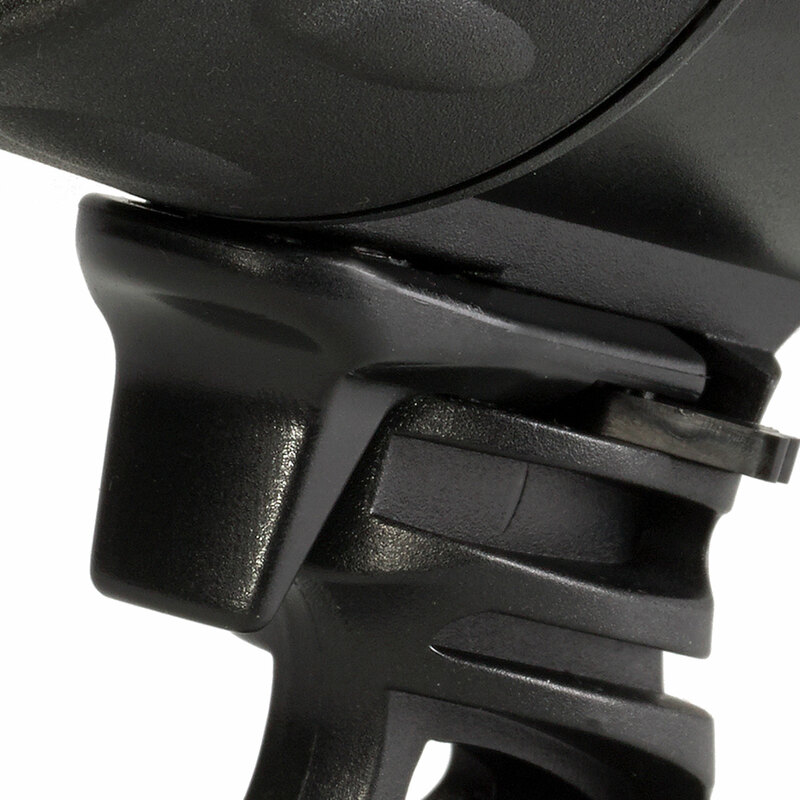 The trigger switch is easy to use with gloved hands; access momentary on via a half-pull and constant on via full pull. The trigger also locks out to prevent accidental illumination and battery drain while in transit or storage, ensuring your batteries arrive to your next dive destination fresh.